The peanut nougat steals the show in this candy bar makeover. 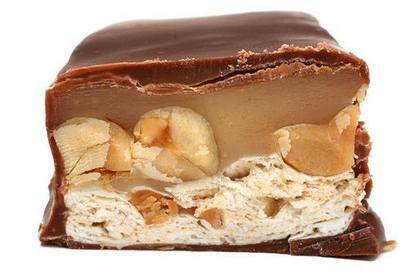 Our version of the Snickers™ nougat is chewy, fluffy, and packed with peanut flavor. Layer that with pleasantly salty peanut caramel and rich milk chocolate, and you’ll be scarfing these down before the kids get a chance.